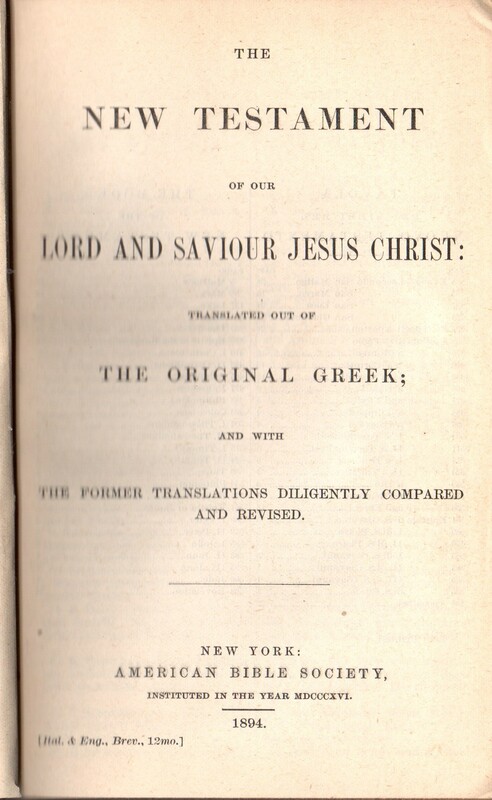 Description: This is an early (possibly first) edition of the New Testament in Italian and English. No edition stated; “4,000 printed” at bottom of table of contents. (12mo. 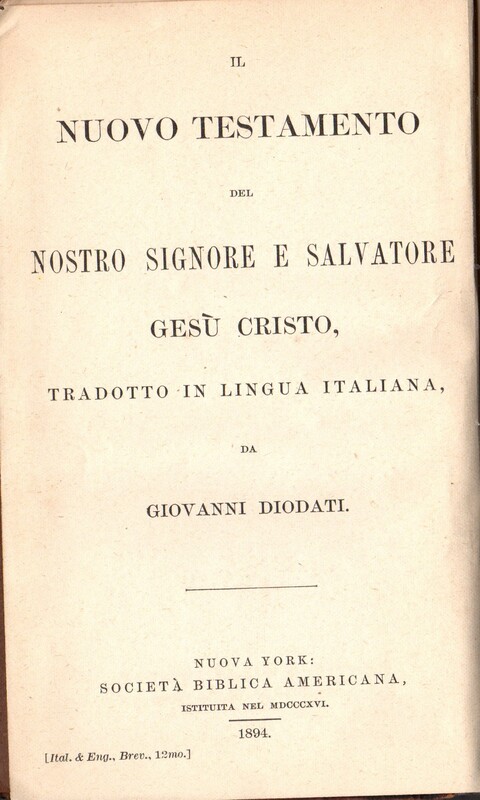 Italian title, English title, table of contents, text p. 5-638).